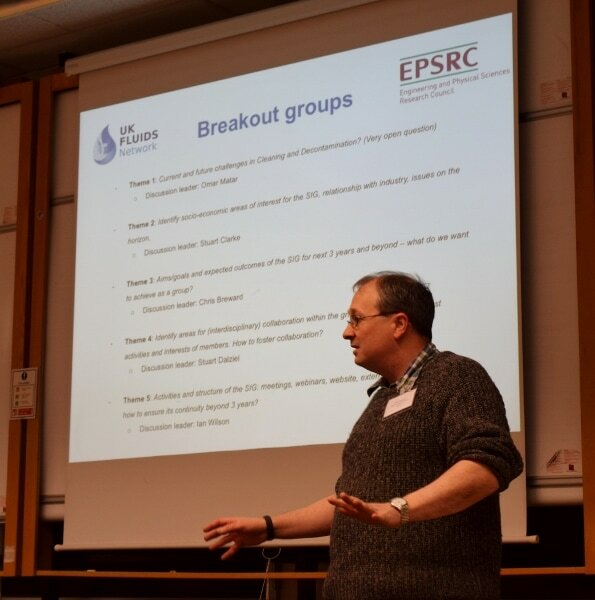 The next meeting of the Special Interest Group 10 on the fluid mechanics of cleaning and decontamination will take place at the University of Bath. The first meeting of the Special Interest Group (SIG10 of the UK Fluids Network) took place at the Department of Chemical Engineering and Biotechnology in Cambridge on Thursday 26th January 2017. About 30 delegates from over 10 universities across the UK and 6 industrial partners attended the meeting: Campden BRI, Dstl, Dyson, Fera Science Ltd, GlaxoSmithKline, and Procter & Gamble. The morning session featured presentations from the Fluids Network leaders and the SIG co-leaders Julien Landel (University of Manchester) and Ian Wilson (University of Cambridge). Delegates discussed the proposals in breakout sessions after lunch. The presentation slides can be found here. The afternoon was rounded off by presentations from three very different industry partners: Dstl – defence (slides), Fera Science Ltd - food, from farm to fork (slides), and GSK - pharmaceuticals and consumer products (slides). The talks demonstrated how important the topic is to their respective sectors. 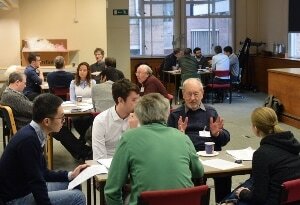 The SIG is open to new members from industry and academia. A strong feature of this meeting was the number of new connections made. Contact Julien Landel for more information.